The AWIS Star Award, announced in April, honors the affiliates and chapters that have accomplished key objectives outlined in the group’s strategic plan. 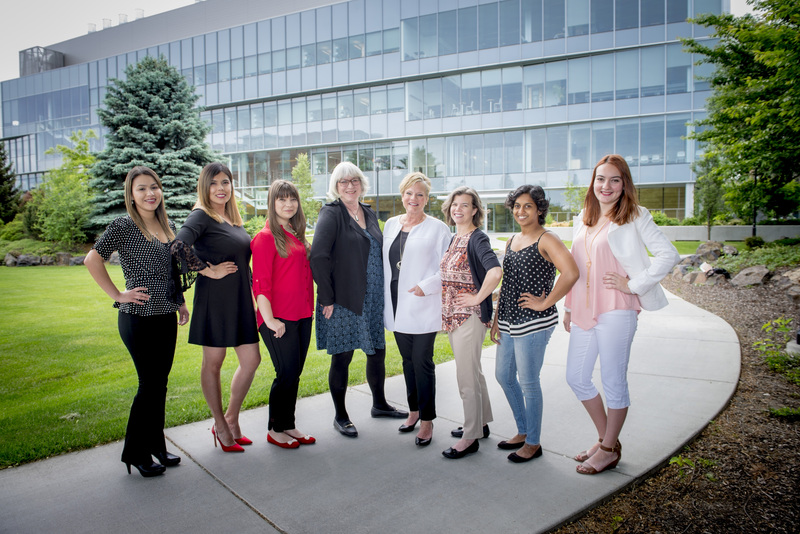 According to AWIS, the WSU-affiliated activities over the past year have focused on breaking down the systemic issues women in STEM face, which was a key factor in the group’s selection for the award. WSU AWIS activities included two leadership summits, a series of special topic events that covered issues ranging from time management to implicit bias, involvement fairs, and work on a childcare subsidy program for students. “Being selected for the AWIS Star Award has been an honor. We are launching a Mentoring Circle Program for the 2018-19 academic year and hope it serves to propel women in science at WSU Health Sciences to pursue leadership positions in research-related careers,” Ana Vergara said. She is a graduate student in pharmaceutical sciences in Spokane. This recognition is an example of how the WSU College of Pharmacy and Pharmaceutical Sciences is committed to developing outstanding scientists through providing opportunities for graduate students to participate in advocacy for STEM and for their future profession. The AWIS vision is for women in STEM to be compensated fairly and without discrimination, advanced equitably and without bias, exposed to successful role models in leadership positions, and recognized and respected for their scientific and leadership achievements. This aligns with The WSU Grand Challenges research initiative at WSU, specifically regarding advancing opportunity and equity by promoting women and historically underrepresented groups entering STEM disciplines. The AWIS affiliate group is open to faculty, graduate students and other health sciences professionals at WSU in Spokane. Those interested in getting involved or seeking information on events can contact the group at awis.inlandnw@wsu.edu.